Home / QuiBids returns to SXSW! Blake Brown and Jill Farrand —our social media guy and director of PR, respectively— will be down in Austin for the tail end of the Interactive part of the festival to hand out QuiBids swag and maybe even some Voucher Bids too. And they want to meet you! If you’re a QuiBidder and are around Austin for South By, swing by and say hello! They’ll be trekking around the Interactive portion and hanging out at the Oklahoma-centric Buffalo Lounge for the most part, but the best way to know where they’ll be for certain is to stay tuned to QuiBids’ Twitter handle and Facebook page, which they’ll be regularly updating. More than anything, SXSW’s a big opportunity to meet with some of the most forward-thinking professionals (we heard a lot of useful information from Twitter co-founder Biz Stone last year!) and do some networking in our field so we’re looking forward to another chance to meet up with the folks who are shaping the way we shop, talk, and learn online this year. Who knows? 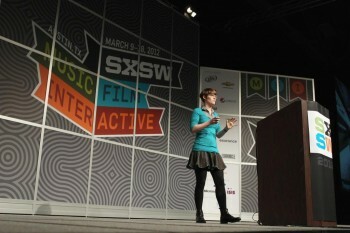 Maybe the next big innovation to QuiBids will come from SXSW this year!